Brent Proulx joined Talent Plus ® in 2010 as a member of the Business Development and Leadership Consulting teams, and has since transitioned into roles on the Management Consulting, Leadership Consulting and People PlusSM teams. He specializes in the health care, hospitality and automotive industries, but has also worked with numerous technology and service industry clients as well. In whatever role he is in, Brent has focused on helping organizations thrive by maximizing the potential of their people. systems and tools such as Executive and Leadership Coaching, Succession Planning, 360° Feedback Surveys, and a host of Learning and Development solutions that target employee performance, turnover and engagement. 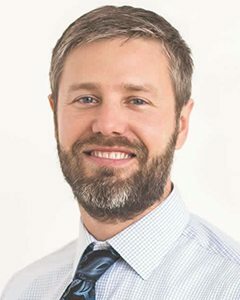 Brent received his bachelor’s degree in psychology with a minor in business management from North Dakota State University in Fargo and then a master’s degree in industrial/organizational psychology from the University of Nebraska-Omaha. He also acquired his SPHR certification in May 2009. In his career, Brent has held positions at Mutual of Omaha, IBM Kenexa and MSI Systems Integrators/Sirius Computer Solutions. In these roles, his main job was to ensure excellence and efficiency in employee selection, development and training processes and programs. Brent currently resides in Lincoln, Nebraska with his wife Jeanette and their three dogs. When not working, he is passionate about mountain biking, hiking, craft beer, gardening, neuroscience, economics, travel and paddle-boarding.